Nothing like clomping through a muddy farm field in March to restore my faith in humanity and remind me how much I like my job. I did just that today as part of a "field trip" of sorts for me and a fellow GIS guy as we followed our friend around for most of the morning. 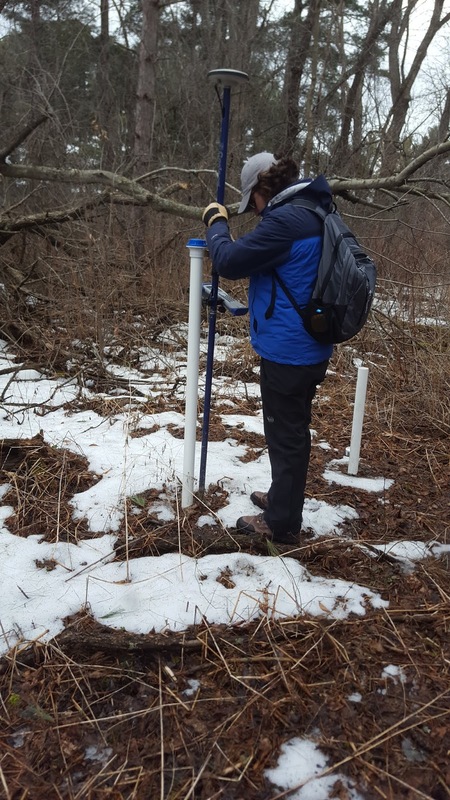 Alan works in our Land Conservation department and was scheduled to do some GPS data collection as part of his work with the Waukesha County Land Conservancy. Megan, the woman in charge of the project told us the land we were walking on was 57 acres of farm land that was being restored to a wetland. These wetland restoration projects involve a lot of factors including removing existing drainage ditches, clearing invasive species, planting native plants, etc. Then once the wetland is restored, the wildlife follows. So while the main function was to "GPS some points" and learn about how that ties into the mapping, I was more interested in the overall project. 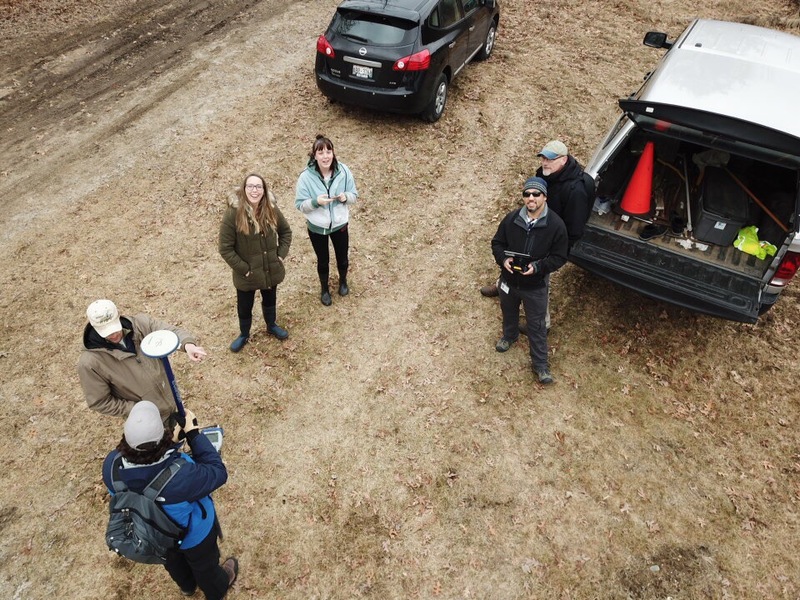 It gives my heart great satisfaction knowing there are agencies like the WCLC and people like Megan and her intern Abbie, that are passionate about birds, groundwater, flora and wildlife that is supported by a sound wetland. As we walked the property, I heard the loud calling of the cranes, saw a hawk circling overhead, saw many deer prints and even heard an owl. It was positively heavenly. Because I live in the city, these are sites and sounds I don't get to hear near enough. I often forget these places exist within 20 minutes of my home. I need to get out more. The other cool part of the day was my coworker flying our drone over the property and taking photos and video. The video will help show a "before" shot of the land from a bird's eye view. They are pretty cool devices and have created another way to collect spatial data at a low cost. The thing was noisy but fun to watch. It got some great footage which I've embedded here. I can honestly say in 22 years of working at the County, I've only been "in the field" about three times. I realized today how important it is to get out once in a while and see the land I've mapped for 22 years. It is really great to see projects like I saw today and know that GIS plays a small part in helping projects happen. And I'm still convinced I have the coolest job a guy can have. Days in the field are precious, and I had the opportunity to explore with area naturalists and biologists, and map (by hand) many significant resources in Waukesha County in the late 1970's and early 1980's. Some of these lands would become parks and parkland for Waukesha County. Some of my best memories are the days spent walking these lands, discovering their details, and talking to the land owner about long term land preservation.